Among multinational companies of all sizes, payroll and HR team members increasingly recognize the value and benefits to be realized from using a unified global payroll solution. As many payroll managers, HR directors, and IT heads already know, switching from a legacy technology system to a single cloud-based solution can help organizations standardize their payroll processes, reduce errors, and achieve vastly higher productivity and efficiency levels over time. Yet no matter their job titles or level of seniority, Payroll and HR team members have bosses to answer to—and their superiors rarely see things the same way. When considering any enterprise technology switch, C-suite executives often find it difficult to see beyond the upfront costs of change management and implementation to the long-term benefits of change—and no where is that more true than in payroll. Why so? Because payroll is an area where consistency is key. Late payments, errors, and other issues can easily lead to lawsuits, legislative penalties, lowered employee morale, and worse. But when it comes to an organization’s reliance on outdated technology, consistency isn’t all it’s cracked up to be. The most commonly used legacy solutions in the global payroll space plague payroll teams with persistent issues, ranging from poor user experience to buggy functionality to frequent errors. Beyond those baseline problems lies the inadequate and inaccurate data most legacy solutions produce. Because traditional global payroll systems operate as aggregators (whereby a vendor interfaces with a variety of in-country agents, all using different technology solutions, and simply links them via a thin technology layer), multinational payroll teams typically lack access to standardized data sets or reliable analytics—without which it’s difficult for stakeholders to assess overall payroll performance or target areas for improvement. That’s why it’s crucial for payroll teams to be advocates for the kind or organization-wide improvement that a change in payroll can create. Exposing the benefits and value of a move to the cloud. 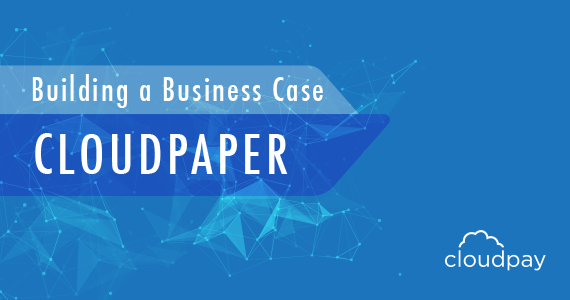 To learn more, download the full report now: Building a Business Case for a Global Payroll Solution.